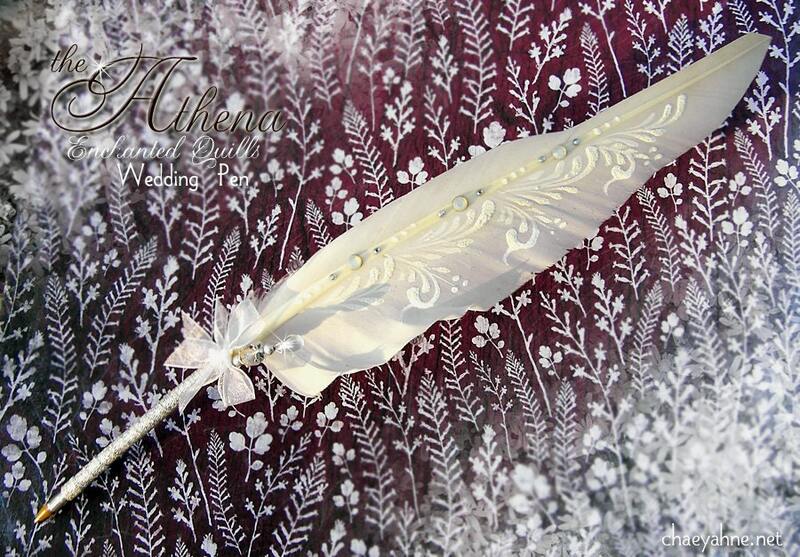 Sometimes the most simple of things are the most beautiful of things, and the Athena Wedding Pen is one. 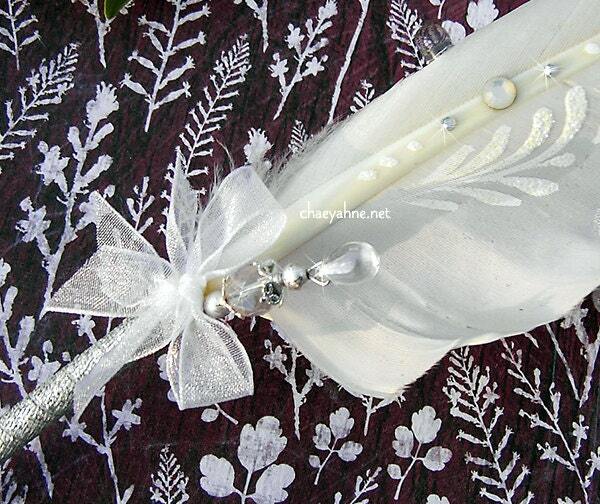 Created of a single, delicate, goose quill, and wrapped in soft, shimmery, silver ribbon with a delicate iridescent ribbon bow. 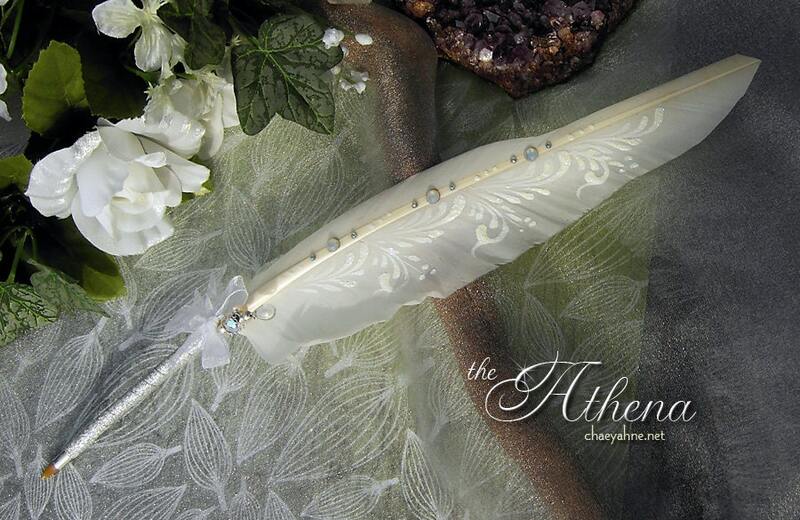 As is usual with my wedding pens the Athena is painted in white with a soft shimmer of faerie dust, with swarovski crystal quill accents. Athena’s beaded focal comprises of a simple yet elegant adornment of Czech glass, silver fire-polished glass, sterling silver bead caps & spacers, with a single lovely crystal bead drop. This pen writes in black, it is 12+ inches, and is finished on both sides. 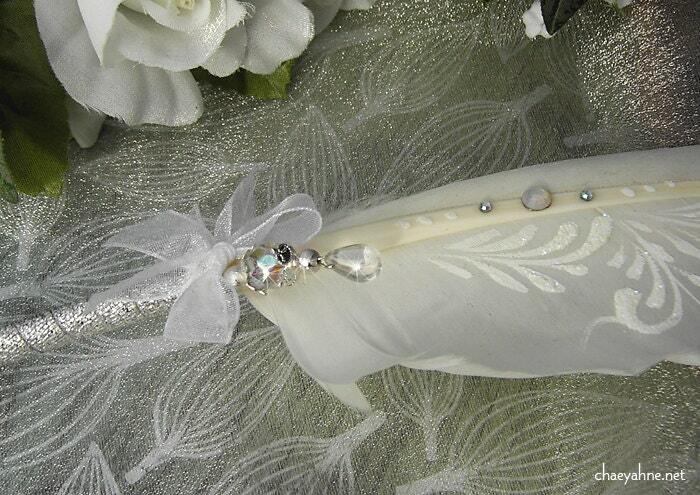 Beautiful when framed with a wedding invitation or other wedding accoutrements after the event! ALL of my pens whether for weddings or otherwise are totally handcrafted with a minuet attention to detail by one person, myself. I wish to always produce for you the most beautiful, well-made, and one-of-a-kind pens in the market today...anywhere...worldwide. It is my love & passion, this work & talent I have been gifted with. There are NO mass productions here at SilverFox Studio, and quality is always the main focus. Established in 1983. I do honor wholesale accounts on some items.